What bunk! Rewarding idealistic imbeciles for the depth of their astral infatuations. 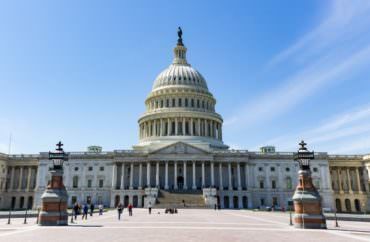 Of the 62 recipients of a prestigious $30,000 federal scholarship granted in 2019, only three have worked for a Republican politician or a conservative organization, according to an analysis by The College Fix. Conversely, 19 of this year’s Truman Scholarship winners – or 31 percent – have worked for either Democrat politicians or progressive organizations. Moreover, an additional 21 scholarship recipients – or 34 percent – work for overtly liberal causes, while eight winners – 13 percent – advocate for causes moderately associated with progressivism, the analysis found. The prestigious Truman Scholarship is granted to college juniors to help them attend graduate school. The award is supposed to be nonpartisan, and recipients must pledge to serve three of their first seven years after graduation in public service. The 2019 awardees were announced last Thursday. The Fix, in its analysis, also identified 12 students – or 19 percent of all recipients – whose political ideology was undetermined based on either their public biography or LinkedIn page. The fact that the vast majority of receipts for an ostensibly nonpartisan federal award lean left this year are consistent with The Fix’s past analyses that found very similar results. Of the 2018 Truman scholars, not one had identified as a conservative or Republican, while 36 percent had worked for a Democratic politician or organization, according to a College Fix analysis. Another 29 percent advocated for solidly liberal policy positions and 14 percent indicated moderately liberal interests. In 2017, 43 percent of scholars were known Democrats. In 2015 and 2016 combined, 40 of the 112 scholars, or 35 percent, had ties to Democratic politicians or liberal groups. Between 2015 and 2019, only 10 scholarship winners combined had ties to Republicans or conservatism while 107 winners had direct connections to Democrats. Of this year’s 12 Truman scholars whose political predilections are unknown, four are students at military academies. Another four are deeply involved in medical research (malaria, neuroscience) and appear not to be overtly political. One student from George Mason University, Patrick Grady, has interned for independent U.S. Senator Angus King (who caucuses with Democrats), but has also interned for Republican U.S. Senator Susan Collins. Both senators are from Grady’s home state of Maine. 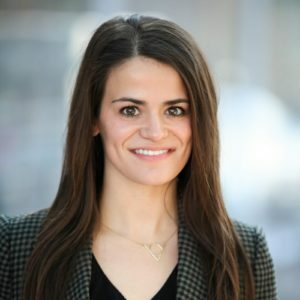 Samantha Thorne (pictured) of the University of Utah and Clara Wicoff of Kansas State University are the only two 2019 scholars who have worked primarily for Republicans. At Kansas State, Wicoff majors in agricultural economics with a secondary major in global food systems leadership and a minor in entomology. She has interned with Republican Kansas State Sen. Karen Tyson and for the Republican-led United States Senate Agriculture Committee. But in an e-mail to The Fix last week, acting Truman Foundation Executive Secretary Tara Yglesias disputed the notion that the awards selection process is biased or flawed. “Many of our Scholars are interested in issues – such as education, the environment or healthcare – that I would not label as solely partisan issues,” Yglesias told The Fix. Yet The Fix’s analysis accounts for students who are interested in those issues on a nonpartisan basis; for instance, of the 12 categorized as “unknown” in its 2019 review, a number are deeply involved in medical research and expanding access to better health care. Further, this doesn’t account for the more than 10-to-1 disparity in award winners who are avowed Democrats versus self-described Republicans. Both Yglesias and others critical of the selection process concede that since individual universities are in charge of forwarding nominations to the Truman Foundation, their board is limited in who they may select as winners. If professors who select nominees are sending progressive candidates to the Truman board, even if the board members are nonpartisan, the selections will by default lean heavily to the left. This is granted credence by Thorne’s own application experience, where she says she did not witness any bias throughout the entire process. “My opinions were taken very seriously,” she said. Thorne’s experience supports the idea that if universities forwarded more conservative students to the Truman board, there may be less of a progressive monopoly on the scholarships awarded. While the Truman scholarships lack ideological diversity, the scholars are diverse on racial and gender lines. Of the 62 winners this year, more than half – 32 – are students of color. Additionally, 39 of the scholars – or 63 percent – are female. Only 10 of the recipients – or 16 percent – are white males. Since the creation of the Truman Scholars program, 3,000 students have received the award. The scholarship was created by an act of Congress in 1975 and the first awards were granted in 1977.